Journeys with Open Eyes is not a travel book although it provides a wealth of information about places far-away and sometimes very close to home, both locationally and psychologically.Nor is it a history book, although the author, Hugh Roberts, was present in or around many of the world's trouble spots immediately before or after some of the epoch-making events of the 20th and early 21st centuries. 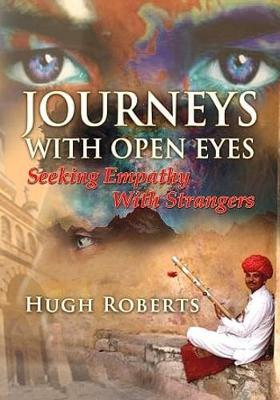 'Journeys'...is a book about people. As such it is concerned with Hugh's empathetic approach to members of the human race, be they indigenous residents of the High Andes, Soviet functionaries, Arab princes, white South Africans of the Apartheid era and numerous others. There can be no doubt that empathy helped him in his career as an international Urban Planner but empathy like this is only found in those with a genuine love for humankind. He judges systems of government but rarely the people operating or imposing them. As a result, he invariably gets the best out of his fellows whether as friends, work colleagues or chance acquaintances. Journeys...will entertain and educate the reader in full measure and should be required reading for all who care for the inhabitants of this planet.